Office Depot and Alibaba.com teamed up to bring small and medium-sized businesses [SMB’s] more choices and better services. Through the new online portal [www.alibaba.com/officedepot] entrepreneurs will be able to gain access to Alibaba’s global supply network and Office Depot’s integrated B2B supply chain and distribution network of more than 1,000 private fleet trucks, 9 million square feet of distribution and fulfillment capacity, approximately 1,350 retail locations, and dozens of third-party logistics partners. A March expo is offered on the alibaba.com/officedepot site each year which offers up to $2,000 worth of discounts. 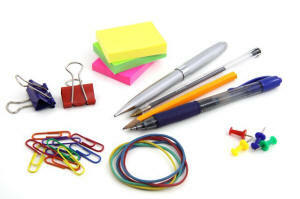 A great way to save money on office supplies.